Yesterday, I went to a local elementary school to tutor, something I’ve recently started. My second grader, CL, brought a nonfiction, information worksheet to go over. He read through the information on what makes popcorn pop and did pretty well in the reading. But his understanding was weak. The paper said that popcorn kernels pop because the water in the kernel gets heated up into steam, which cracks open the hard cover and the popcorn pops out. OK. I asked CL, “What is a kernel? He didn’t know. In fact, he consistently had trouble pronouncing the word. And yet one of the exercises was to draw popcorn before and after popped. How often do we fail to engage our audience because of our vocabulary, our sentence structures, the organization of our stories. Do you consider audience at every turn? For fun, go to Up-Goer Five and try to write something only using the Ten Hundred most common English words. How does this compare to your usual writing? How should it compare? Of course, even when writing picture books you don’t have to worry about vocabulary level because these books are usually read by an adult to a kid. However, you do need to make sure the adult will understand the book. Also, many unfamiliar words can be understood in context. Vocabulary Level. Make sure your vocabulary levels will be understood by the reader. For unfamiliar words, create a strong context, or define it in the text. Dialect or Diction. 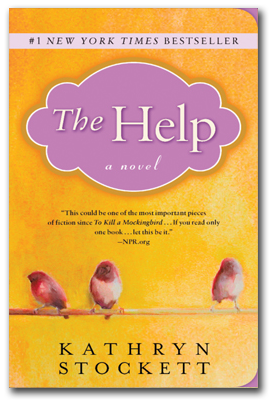 THE HELP was written in dialect and it almost turned me off from reading it. It wasn’t the topic or the events, just how it was told. It’s also part of the charm of the story. Insult or Bless. 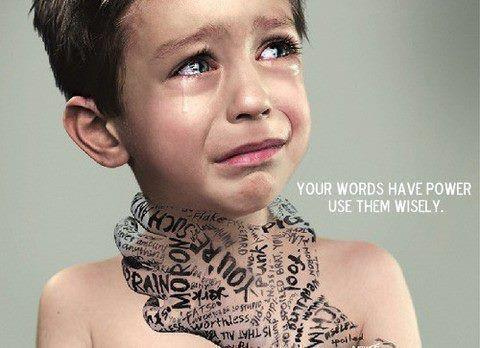 Remember, too, that your words have the power to tear down or build up. Yes, in fiction, there are awful conflicts that must be expressed honestly. Yes, characters tear each other down. But overall, does your story end in a note of hope? Does good triumph over evil? I know there are dark stories without hope, without success. But they aren’t the type of stories I want to write. My stories end with hope. Too Intellectual? When I write fiction, I use the words that are appropriate for my story, words that convey exactly what I mean. And yet, I also know that I tend to be a bit too much in love with my words. Sometimes, I will replace words–for my audience’s sake. What do you do for your audience’s sake? What are you assuming they will know that will make your communication fail? Really interesting post, Darcy! I have read a lot of writing advice that always says to “trust your audience” and that they are smarter than expected, but I think it’s hard to strike that balance between not treating them like dunderheads and giving them the information they need – and I think it further depends on the piece in particular. Any given paragraph of a fantasy novel might have a half dozen words that wouldn’t be understood by the uninitiated (and that couldn’t be found in a dictionary), explanatory texts range from simple to highly technical (in which case, as per your post, it’s very important to keep the audience in mind). Another good exercise that writers might find useful to clarify/simplify their writing is to try writing instruction sets. Think of a simple task that you perform every day (making coffee, for example) and try to write an enumerated instruction set meant for someone who has NEVER done it before (Where does the filter go? How much ground coffee should be used?). You could also try to describe a simple tool or object (say, a pair of scissors or a pen); these types of exercises illuminate words you take for granted and can increase awareness of specific words you normally don’t think about. That picture brought tears to my eyes. I know you intended it to be a reminder not to overwhelm/strangle child-readers with confusing/inappropriate words, but it struck me more as a parent. Always working harder to keep a guard over my mouth. Thanks. Great points! I think “trust your audience” is important, too, but I’ve found that too often, my writing lacks clarity. To write clearly and communicate well is hard. For me, the “lazy” answer is sometimes to “trust the audience,” instead of doing that last revision that makes everything totally clear. That said, there’s also a difference in the sff community. Orson Scott Card’s book, HOW TO WRITE SCIENCE FICTION AND FANTASY, has a great chapter on openings of a sff novel. He says the sff reader is more likely to suspend judgment, to live with some ambiguity until confirmed. If you write, “She had shaggy hair,” a straightforward reader might wonder if this is a human girl or a lion. The sff reader will trust that the author will eventually give more information. My friend who write nonfiction, on the other hand, wants every term identified in context and immediately. So, it’s really important to know your audience, the conventions of your genre and what you are trying to communicate. I just read your starred review in PW for WISDOM. Congrats!!! !